After trying to find a better solution I figured it out. I really just need a protective bag that is not bulky or heavy that will fit into my travel tote. I realized that if I cut up and old hoodie it was the perfect size and already had a drawstring. 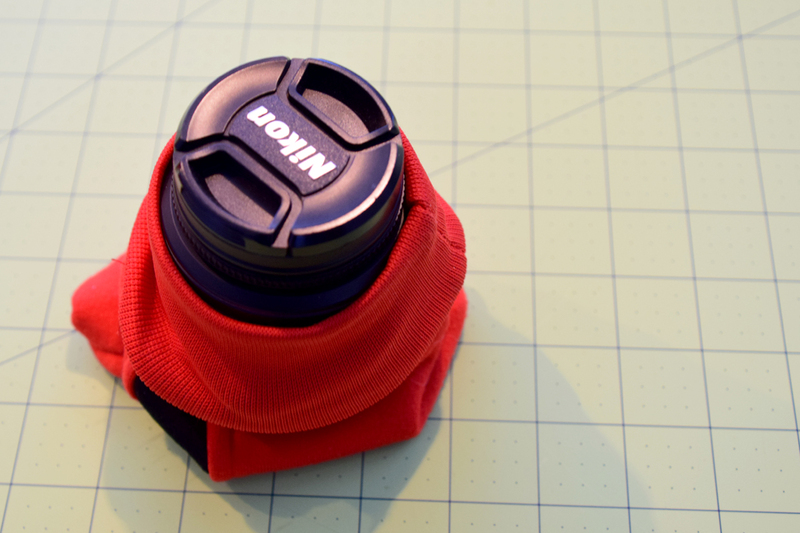 I chopped off a sleeve for a lens cover too. I made a set and love it – it’s the perfect solution to my problem. I keep it in my bag when I’m out and about taking pictures and I can easily pop the camera back in when I’m not using it. If you have a sewing machine and basic sewing skills you can make your own. First cut your hoodie up. 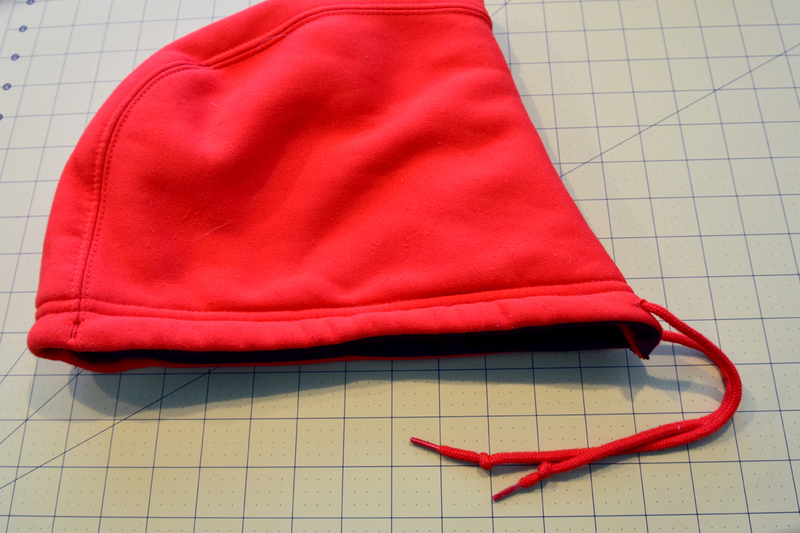 You’ll need to cut the hood off below the drawstrings as close to where it is attached to the body of the shirt. Lay your cameral lens below the cuff of the sleeve and cut the sleeve an inch or two past the length of the lens. 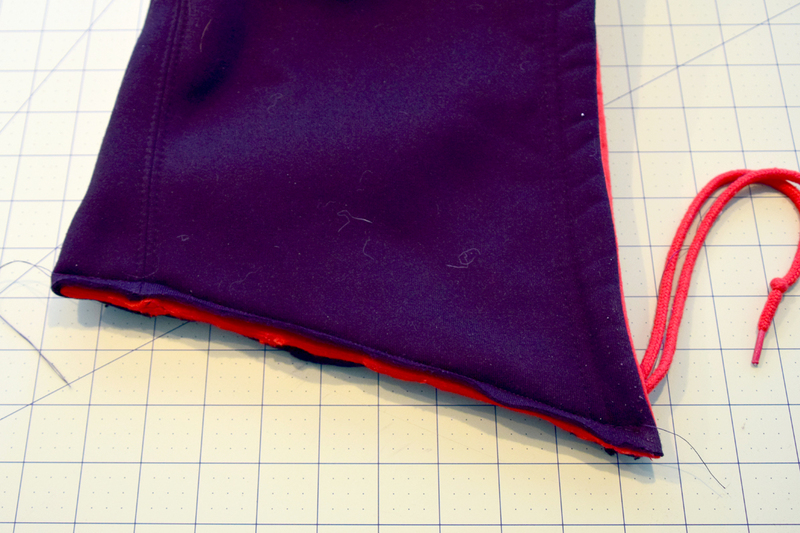 Turn the sleeve section inside out and sew up the end. Turn it back right-side out and slide your lens in. 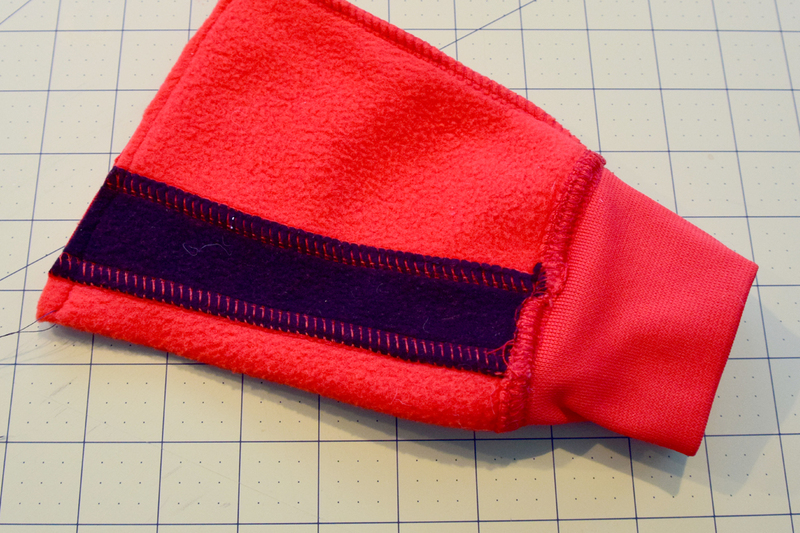 Turn the hood piece inside out and sew both of the flat ends together. Make sure you do not sew over the strings and that the strings are on the side away from the edge. It should look like this when you are done. Turn the hood back around. 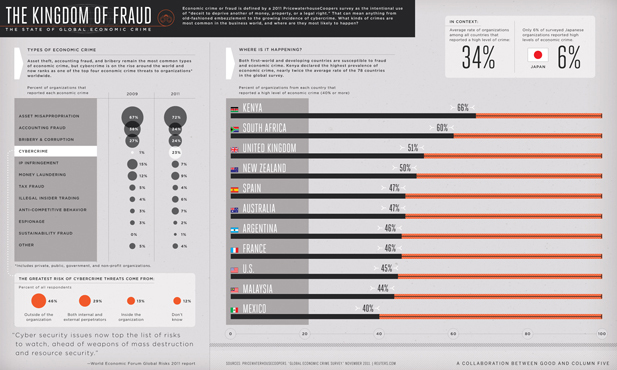 Now you can put your camera in and pull the strings to secure. 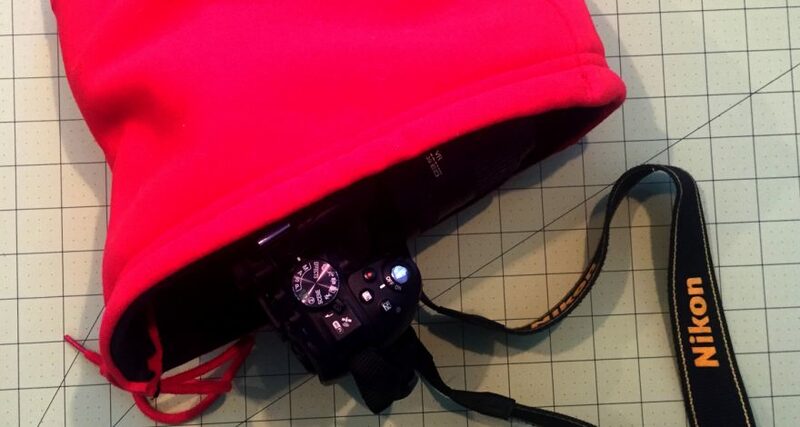 You still don’t want to drop your camera, but it will protect it while it’s in your carry on bag. 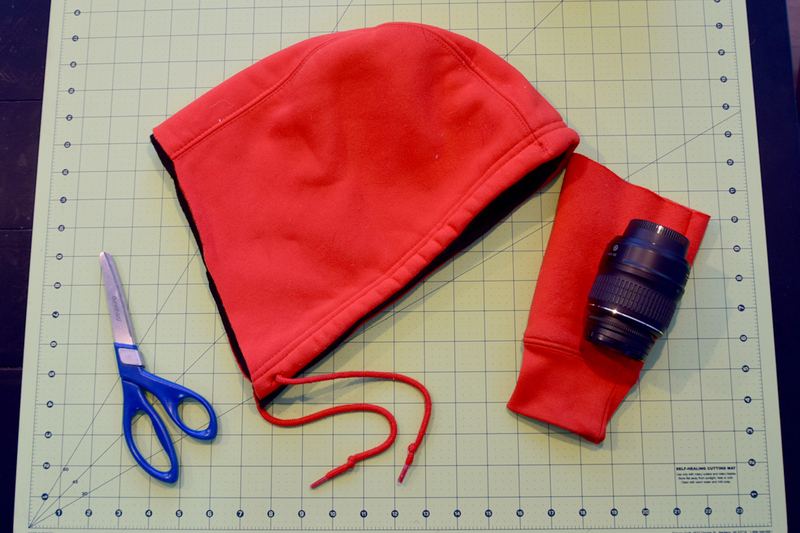 Assuming you have all the supplies to sew a few seams with a sewing machine and an old hoodie that you don’t mind cutting up, this project should only cost you about 20 minutes of your time. If you have all the supplies except the hoodie, try Goodwill for one. It will cost under $4.